Craving some comfort food? Me toooo. That’s why I’m making these fries! What I love about them is that they satisfy that urge to eat all the junk food - yet they’re made without any oil! 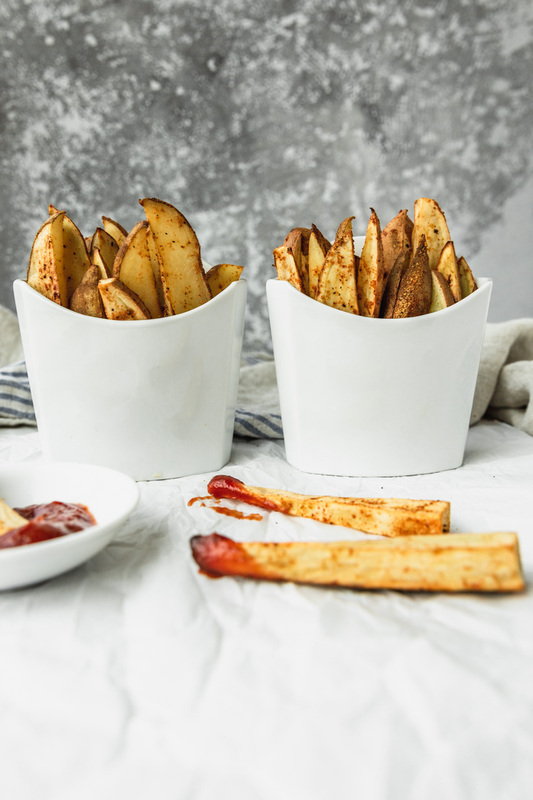 I love that, even though these fries are thick-cut, they actually crisp up using ingredients that are pretty easily accessible. No need for an air fryer here! The trick is to keep them in the oven long enough to puff up a little and crisp. 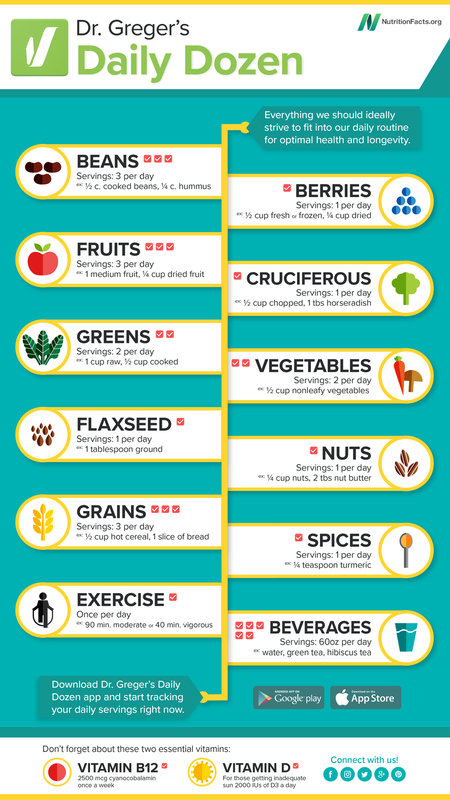 If you don’t have time for a lot of prep, no worries. We’re only talking about 3-4 large potatoes, so it really doesn’t take long to prepare them. Total prep time should be within just 15 minutes. 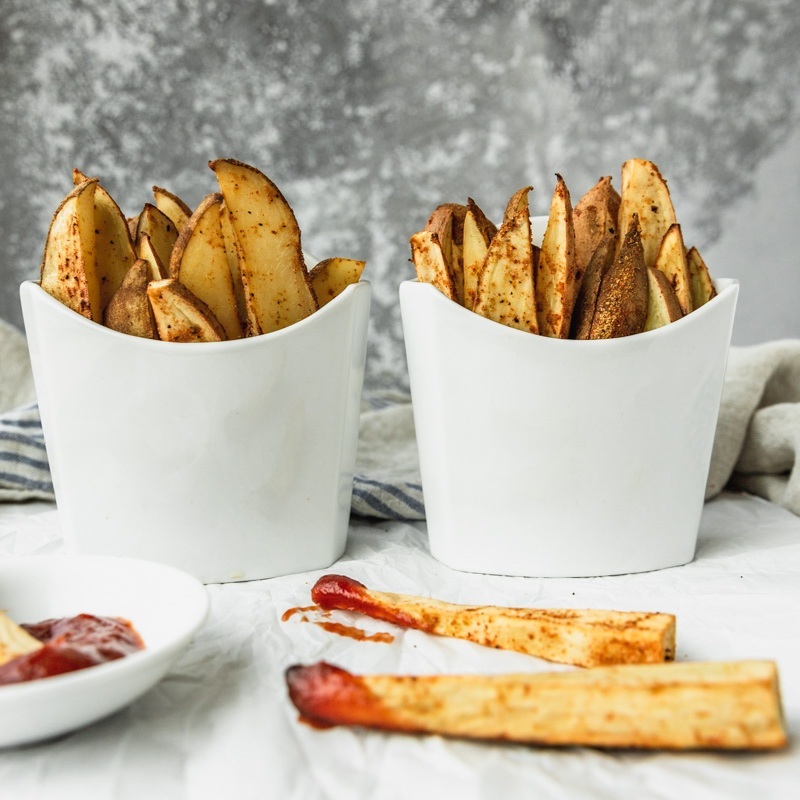 These fries have mild flavor so that they’re great for dipping. If you like a lot of flavor on the fries themselves, I would try increasing the onion and/or garlic. You may need a dash more coconut aminos if you do that. This is what WFPB (whole food, plant-based) looks like. It’s just real food made from plants, and finding a way to prepare them the way you prefer is so key to actually eating them. That can seem daunting, but it really can be as simple as this. Set the oven to 425 degrees. 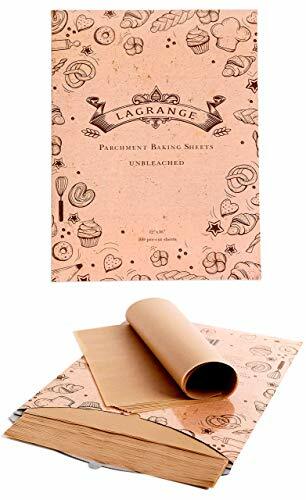 Line a couple large baking sheets with parchment. Stir the spices, the onion powder through the nutritional yeast, together in the bottom of a large bowl. Add the coconut aminos and stir until well combined. 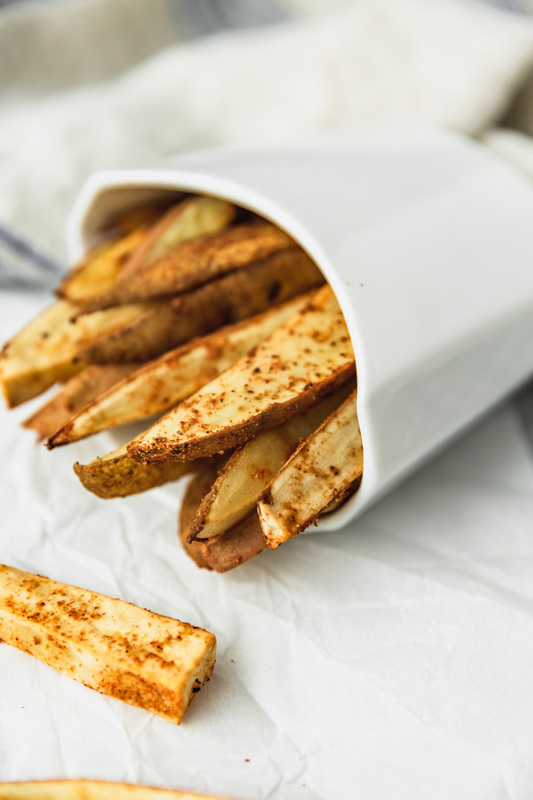 Cut the potatoes into half-inch strips, about as wide as your pinky finger nail, and drop them into the spice mix bowl as you go. With a spatula, fold the potato strips into the spice mix until they’re all coated. Line them up on top of the parchment, close but not touching. Bake 20 minutes, then turn up the heat to 450 degrees, flip them, and return them to the oven for 10 more minutes. Check them for doneness: As you remove them from the oven, they should look a bit puffy and crisp. If not, return them to the oven for 5 minute increments until they are there. The coconut aminos add a mild sweet saltiness; you may still want to add salt & pepper to taste. Enjoy immediately. Clicking the link below will take you to Amazon, where you can learn more and decide whether to purchase. Beautiful Ingredient makes a small commission on sales made through this link at no extra cost to you. Thanks of your support!